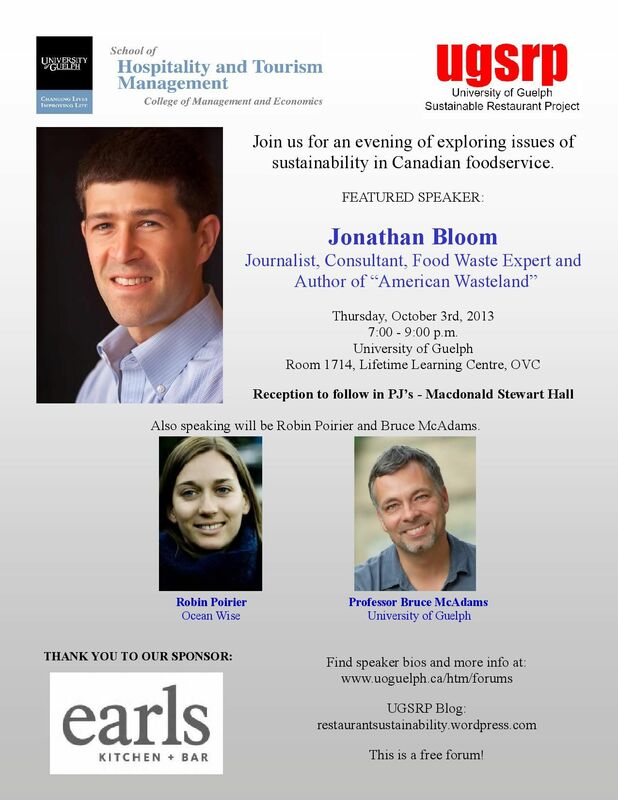 We’re very excited to be presenting Jonathon Bloom, author of American Wasteland, at the University of Guelph on Oct 3, 2013. Jonathon is a leading authority on food waste and is internationally recognized. We’re lucky to be able to present him on campus. Please take the time to come and hear what he has to say. Posted on September 9, 2013 February 9, 2016 by mikevonmassowPosted in Annual Symposium & Events, Posts of Interest...Tagged Food Waste, Restaurant, sustainability.